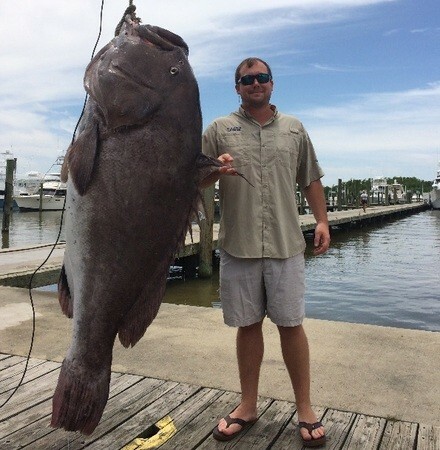 Venice, LA (KMSS) — A Houston resident will soon have his name etched high in the Louisiana record books for a massive fish he hauled in last weekend. On Saturday, Cullen Greer caught a 297-pound Warsaw Grouper while next to an offshore rig in 500- to 600-feet of water. The exact location was about 35 miles from the end of the Mississippi Delta. The grouper was 6 feet 6 inches long and 6 feet in girth. Greer said he reeled in the lunker after about 30 minutes using a live bait.